Solid Floatation Rubber Oil Containment Boom is suitable for permanent deployment on waters such as open seas, gulf, harbors, wharfs, rivers and offshore oil platforms, or for the use in operations in response to oil spills. 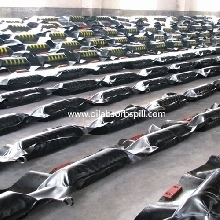 Solid float rubber booms for marine oil spills or other bodies of water diffusion and transfer of control necessary and important equipment. 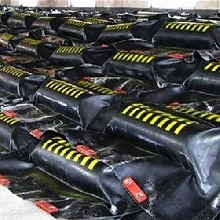 Widely used in open waters, bays, harbors, docks, rivers, oil platforms and other waters of the long-term deployment, can also be used in oil spill response operations. 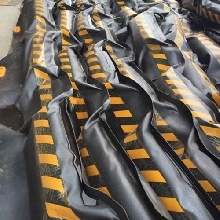 The Floating Rubber Oil Boom is made of double strength synthetic fiber cloth which is covered with good quality synthetic rubber. It is oil-resisting, wear-resisting, seawater-resisting, and ultraviolet ray ageing-resisting. 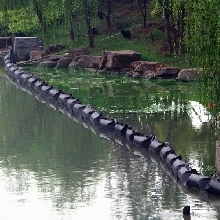 The unique configuration of floats has great buoyancy reserve, and high intensity and stability. 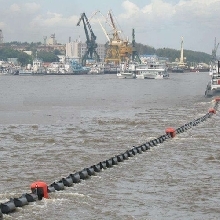 Solid Floatation Rubber Boom suitable for permanent deployment on waters such as open seas, gulfs, harbors, wharfs, rivers and offshore oil platforms, or for the use in operations in response to oil spills.